More books in my Reading list from 2013. The first few I read are shown in this review, the second set is located in this set of reviews, and my review of The Devil in the White City was my previous review. Now I've compiled together a few more of my reviews from last year's reading rampage. 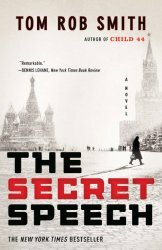 Tom Rob Smith's second book, The Secret Speech, in the Leo Demidov trilogy is a bit of a departure from the first book. Child 44 was a slow starting book that paid off big in the end. This second one jumped right into the action, but had two distinct stories. The first was about the release of Khrushchev's speech denouncing the practices of Stalin, and it's effect on the already defiant people. Leo's adopted daughter gets caught up in one of these groups and Leo fights to get her free. The second part is a story of the Hungarian uprising and a take on who was responsible. The book is interesting in it's history and take on these real events, but it missed the heart and character development of the first. It was an interesting ride but very shallow. 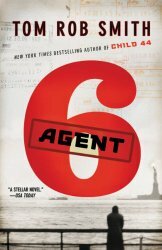 The third Leo Demidov book, Agent 6, is a few years after the second book. Leo has left government service when his wife is in charge of an elementary trip to the US to show the American's how Russia is no longer an evil country. During the trip, Leo's wife is killed and he vows to uncover the strange truth of the murder. In a brave move, Smith turns a beloved character, Leo, and moves him to a dark place. I didn't care for this move and the book only felt plodding with no real payoff for the effort. Smith is a good writer, but falls somewhere short in this when it comes to plotting. Just felt like whole book was forced. He needed a third and really had nothing to go on. After reading Sanderson's Legion, I knew I had to find something else of his to read. I knew he finished Robert Jordan's series after his death, but I didn't like the Wheel of Time books so I never grabbed a Sanderson book. I'm sad I didn't. 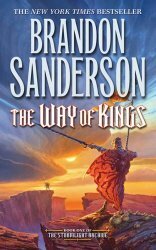 The Way of Kings is an amazing epic. It is full of intrigue and fantasy and not too heavy on the politics. The three characters the book follows, all have some great qualities in their own right. 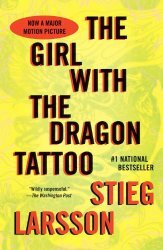 The only reason I didn't give this book 5 Stars is because the main female character, Shalan, is a very week and awkward character. The decisions she makes feel out of place based on her reasoning. But Kaladin, Dalinar, and the White Assassin are great characters and I cannot wait to see where it goes. It is a long book, at times a bit "informative", but very much worth it. I will definitely be picking up more Sanderson books. Like I said, The Devil in the White City was the best non-fiction book I had ever read. 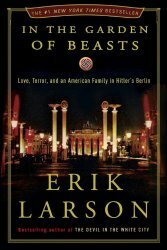 So naturally I would give In the Garden of Beasts: Love, Terror, and an American Family in Hitler's Berlin a try. And I was a bit disappointed. Understand, this review is based on the fact that I loved the way The Devil in the White City was written and wanted something similar. Not the same book, but more of the story told based of the information gathered by the people and the time. This was really more just a narration of the situations and events around the US Ambassador to Germany during Hitler's rise to power. It is interesting and the Dodd family is wrapped in controversy, but again it was more of a "here are the facts" style of book instead of Larson wrapping stories around those facts. It was too bad, there is so much potential here. I do think I will still look for other books by Larson...hopefully more like the previous book. I felt it was time to stop ignoring this series. After two movies are made about a book, you really question why you haven't read it yet. It lives up to the hype. If you've seen both the movies, there's really nothing left (story-wise) in this book. There is much better (of course) character development and insight into why characters did what they did. I liked the expanded time-line, but felt some of the event were a bit "convenient". All in all, still a worthy read. There are some heavy circumstances which make this read not for the faint of heart, but still doable. It's really hard to say anything about this book that hasn't already been said. 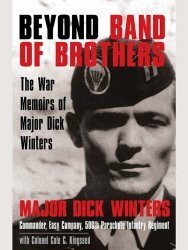 After the reading the book, watching the greatest television miniseries of all time, Beyond Band of Brothers was instantly added to my reading list. When I saw it in my library's catalog, I jumped on it. If you are a fan of Ambrose's writing or of military history, this is an excellent companion. Don't expect the same you would from Ambrose, this is Major Winter's personal accounts...not a history lesson. It filled in some blanks to some items that happened in the original Band of Brothers. Also found that, some of the events the miniseries covered that wasn't in the Ambrose book were not artistic licensing, just additional events from personal accounts like this. It is a good story about a good man. I'd really like anyone to read it, it was simply a good read. Two words, Cra-zy. 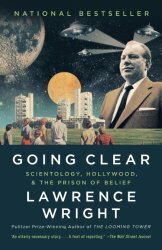 There's two stories in Going Clear: Scientology, Hollywood, and the Prison of Belief. One is of the genius madman, L. Ron Hubbard, and the other is of the current leader, David Miscavige. It talks of what drove Hubbard, his early life, and his final days. After reading this book and other reports and stories, I'm come to the following conclusion: L. Ron Hubbard was a genius, deeply troubled, and horribly misguided. Everything started out good. Hubbard was looking for a form of psychotherapy during a time of really bad psychotherapy practices. He felt he was on the path of stopping some of the egregious practices of the time, and help people out of their mental troubles. But due to his warped state of mind and greed, he transformed from his initial noble efforts and developed a religion that literally imprisons people. Then there is Miscavige, who is the poster boy for small man syndrome, and how he usurped the reigns of the church from it's leaders and brought Hollywood into the folds of the church. It's impeccably researched and well sited. If you are interested in the goings on of the Church of Scientology, I'd start here. Picked this one up after hearing it's one of Scott Brick's favorite reads--it's not this one by the way, it's You're Next. I liked it immensely. They're Watching follow a washed up screen-writer who somehow gets mixed up in a crazy web of military grade surveillance and the deeper he gets in the web, the crazier it gets. I was pleasantly surprised by it's insanely good plotting. I keep thinking about all the information Hurwitz had to keep in mind to make sure no holes were left in the plot. Everything is there and well placed. Step-by-step events unfold and you think it can't do more...but it does. But don't worry all plot points are well understood and kept in place, there are next no zero holes in what is a surprisingly intricate story. I'm definitely going to find more from Hurwitz...maybe You're Next. 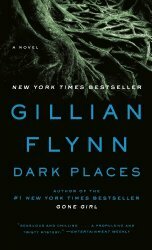 I know this isn't Flynn's latest novel, so I'm really unsure why I started with it. Another well plotted book that makes you guess until the end...well maybe not the very end. The hints to the ending were good, they kept you interested and never were you simply hoping the book would end. I ended up guessing the ending about 2/3rd into the story, and although I wasn't completely correct, I was close enough. This may turn you off, but I really had no trouble with that aspect of the book. I still wanted to read it to its conclusion, I wanted to know the full story and wanted validation for my guesses. So it keeps you enthralled. Definitely, not a bad start for the author. 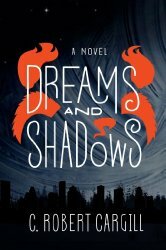 I picked up Dreams and Shadows because the author is a native Texan, has a hit film to his name, and the story sounded interesting. It's best described as an "urban fantasy", in the style similar to a Neil Gaiman novel. Most people will shutter at the comparison, but it's the only one to compare it against. It is not a bad story. Fairy tale elements, boy getting wrapped up in something he shouldn't, fight between real and fairly land...it is all there. But there isn't much meat...just a ton of events. Characters are weak, nothing is fully fleshed out, and what is nearly a world ending event occurs down a couple streets of south Austin. Lastly, the narrator for the audiobook was hideous. Fairy folk had to have strange voices and every one of the children's voices were high pitched and yelling. I think a new narrator would go a long way to making this book more bearable.